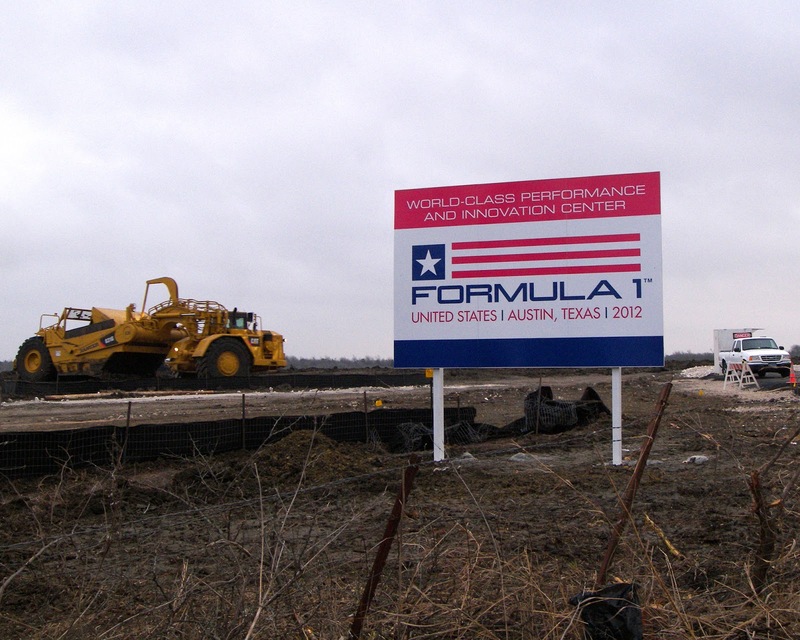 Talking about F1: The F1 blog: US GP Preview: Will Austin be Weird? US GP Preview: Will Austin be Weird? F1's final frontier. Its unfinished business. Its itch that it just can't scratch. Call it what you will, but that's F1 in America. And this weekend we'll see the start of the sport's latest attempt to crack the States. And, what do you know, this time there seems to be a better than usual chance of getting it right. Austin will be the tenth US venue to host an F1 race (and that's a record, France is next up with 'just' seven different venues), and that number betrays F1's repeated attempts at setting its roots down in the US. It also betrays that, one way or another, the sport has managed to make a pig's ear of it every single time. America is important to F1. Like it or not it's absurd that anything purporting to be a world championship should turn its back on the USA, indeed on the American continents, with the alacrity that F1 has in recent years. The potential benefits to F1, in terms of fan base, commerce and investment, of getting it right in America are considerable. And this, hopefully, will just be the start with New Jersey due to join to the calendar in 2014 and rounds in Mexico, Argentina, maybe even the Caribbean, rumoured to join also in the years ahead. 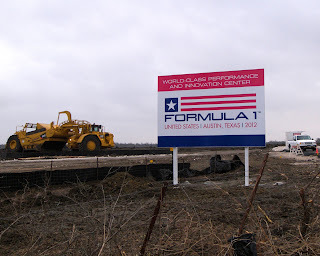 And, contrary to the claims of some who should know better, there is no inherent reason for F1 to fail in the US. Anyone who knows about F1 races at Watkins Glen and Long Beach could tell you that, as could those who know where F1's record race day attendance anywhere was assembled (it was Indianapolis in 2000 - some quarter of a million people were there that day). Indeed, any glance around F1-related social media will reveal many US-based F1 fans. And, as mentioned, there are reasons to think that this effort to crack America has much greater potential of success than most previous forays. For the first time ever F1 has its own venue in the US purpose built for the sport; no half-hearted up-one-block-turn-left-down-another-block-turn-right route sketched through a city centre (or through a car park - titter ye not, that actually happened) where the F1 car can barely get above a canter. And it's F1's first visit to a permanent US road circuit since the days of the Glen, surely a good sign. 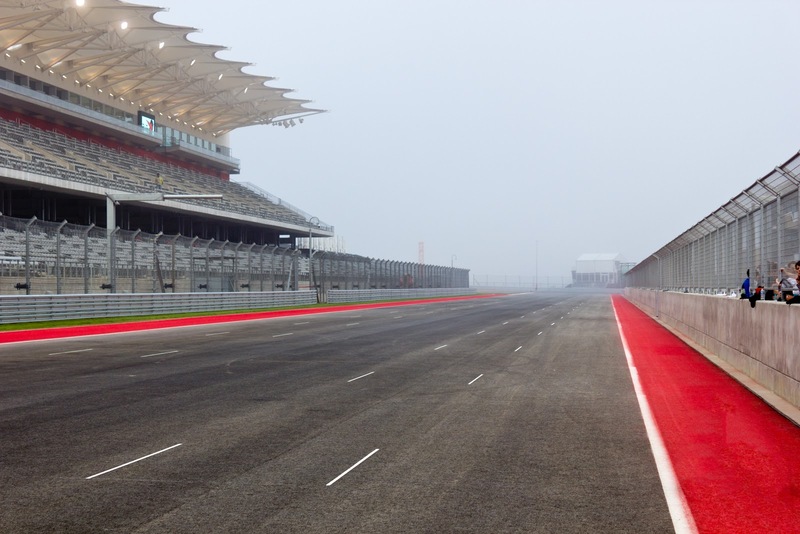 And the Austin track looks like an excellent one: undulating, varied and challenging. The first section is especially so and clearly it borrows from the Becketts complex at Silverstone, and is also a little Suzuka-reminiscent, while a corner modelled on Turkey's turn eight is later in the lap. Those in attendance will surely see F1 cars at their full capability. The venue city is also interesting. Austin by all accounts isn't perhaps what you'd immediately associate with Texas, rather it's eclectic, diverse and expressive. Indeed, it's a college city with a wide variety of inhabitants and is a place that prides itself on its 'weirdness' ('Keep Austin Weird' is a local motto), and also models itself as 'The Live Music Capital of the World'. Whether it takes to F1 or not remains to be seen (it's already been reported that some environmentally-minded locals are less than thrilled), but that it's a diverse and outward-looking city used to welcoming people and putting on large events is a very good place to start. Plus, Austin is a sister city with Adelaide (one of the most popular F1 stop-offs of modern history), which if it does represent an omen can only be an encouraging one. Of course, Austin can count on many to attend from further afield in America, and that the facility is named 'Circuit of the Americas' is also no coincidence: the track is courting fans from Mexico and the rest of Central America too. And we know there are plenty of those. Indeed a crowd close to a 120,000 strong sell-out is expected on Sunday, along with plenty through the gates on the other days. So, an important weekend for F1 on the macro level. But it'll be equally important on the micro level, with the much more immediate matter of who'll win the 2012 drivers' title likely to make a giant stride forward. In a country famous for its frontier past and wild west, rather appropriately many will view this weekend's action in terms of the stand off between championship contenders Sebastian Vettel and Fernando Alonso. 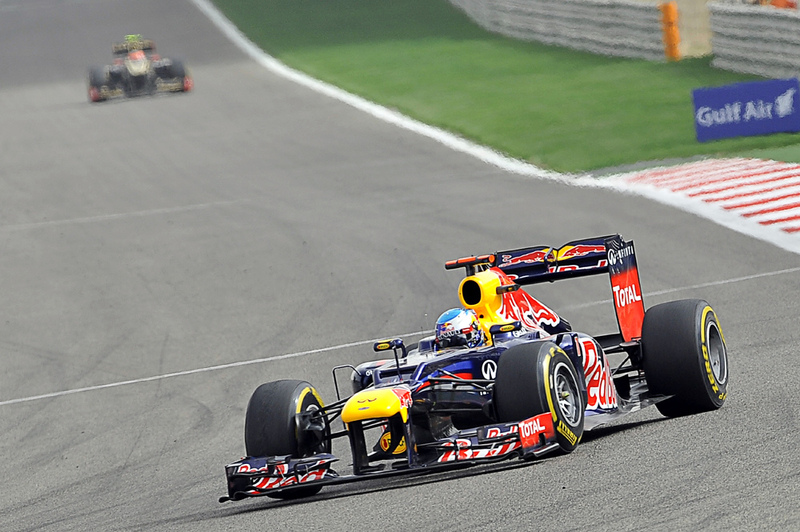 In most ways, Vettel continues to have the upper hand. Not only does he have a ten point advantage (with only 50 points left) he has that vital sporting commodity called momentum. The Red Bull's been strong, usually dominant, pretty much everywhere in recent weeks, and not even starting at the back last time out in Abu Dhabi seriously altered the championship picture by the race's end. a clean pair of heels this weekend? You further feel that the Red Bull car, given Austin's quick and varied corners, should eat much of the track alive. Another factor that should play into its hands, and not of its Alonso/Ferrari rival, is that you feel qualifying will be important at Austin. Pirelli has again gone conservative with its tyre selections (medium and hard), meaning pit stops will be few (one-stoppers are again expected, though the pit lane is short so some may be tempted to go for two) and thus opportunity to make places through pit strategy or varying tyre degradation will be limited. Plus the quick turns, beautiful though they are, may split the field apart due to the problems of turbulence in traffic, meaning cars could drop out of DRS range of the car ahead (it's a pity generally that Austin's first F1 race has a number of factors that may make it a relatively tepid watch). As we know, it's been in qualifying especially that the Prancing Horse has been short of breath trying to keep up with the Bull. If Vettel wins on Sunday then it's hard to see how he can be stopped for title honours, as it'll leave him 17 points ahead at least with just 25 left available. And Alonso will need fourth place as a minimum to keep his title hunt alive, mathematically anyway. Worse for Ferrari, there are a few contenders that could get between Alonso and Vettel this weekend: Mark Webber could of course, as might the McLarens, good all year aerodynamically and Lewis Hamilton looks to be in particularly good from right now. Lotus, complete with Coanda-style exhausts, showed an upturn in pace in Abu Dhabi and will likely be strong, while the likes of Sauber and Williams have also shown up well on these sort of tracks this season. Will Fernando Alonso have any reasons to smile in Austin? So, what is there for Ferrari to cling to? Well, for one thing the Ferrari has also been pretty good around quick turns this year. Indeed, even during the car's difficult infant steps pace around quick corners was something it was good at. The team has completed another straightline test in recent days and sounds optimistic (though I think I've heard that one before somewhere). But most of all it of course has the mesmeric Alonso on its side, which usually means making the absolute best of things and getting at least close to the podium positions even if the car by rights shouldn't be there. Plus, there's apparently a one in five chance of rain on race day. Austin would indeed be an appropriate place for something weird to happen. And while we're talking about weird happenings, Allan McNish is correct to say that that it won't be at all ideal for Vettel to go to the final round Interlagos with the title still in the balance. As we've seen repeatedly, Interlagos is a track where things happen. Sometimes it rains, sometimes it's even stranger goings on than that. So, perhaps the Austin race, like the city, will have more to it than initial assumptions may lead one to believe. And Fernando Alonso, along with those keen for the title fight to go down to the Interlagos wire, will be particularly minded of the desire to Keep Austin Weird. Interlagos Qualifying: In the lap of the gods?